Tim focuses his practice on elder law. 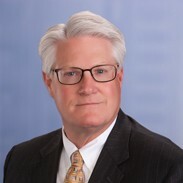 His practice emphasis in elder law includes Medicaid planning for nursing home stays, living trusts for probate avoidance and second marriage planning, wills, powers of attorney, guardianships, probate administration, estate and trust settlement, and real estate transactions. A native of Normal, Illinois, Tim has practiced law exclusively in Central Illinois. In addition to elder law, Tim's practice has included a wide range of corporate matters and business asset transactions. Prior to joining the firm, Tim served as the General Counsel for Central Illinois Light Company (CILCO) and also for ROHN Industries, Inc. Selected as a Peoria "40 Leaders Under 40"